Please check the size of ad you wish to purchase. 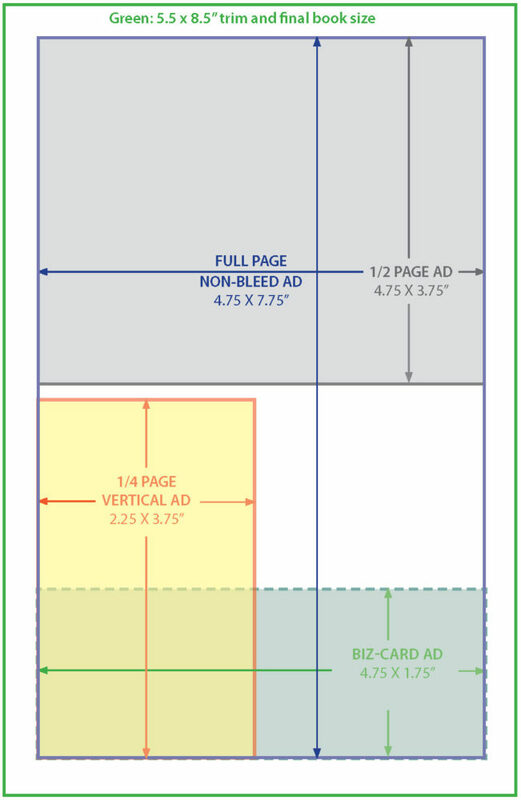 Advertiser is responsible for providing advertisement copy in PDF format and for the cost of any changes that need to be made if the submitted ad isn’t delivered to specification. Payment and advertisement copy must be received by September 1 for full season or 6 weeks prior to individual concert. Orders cannot be cancelled after ad copy is received. Electronic files preferred [PDFs only]; use PRESS distiller settings with fonts embedded when creating the PDF. If B&W ad, please check that all art separates to the black separation plate ONLY. If FULL COLOR ad, please check that there are NO 5th colors/inks and that the file is cmyk ONLY before delivering PDFs. Please e-deliver ad files to JoeRomo at jmrass.2@gmail.com. Program schedule subject to change. Advertiser is responsible for any claim resulting from the unauthorized use of any name, graphic or copy protected by copyright and/or registered trademarks, etc. in connection with placed advertisement. Advertiser must have rights to the use of all artwork and photographs used in placed advertisement. Payment must be made in full with ad and is non-commissionable and cannot be cancelled.